SYR 2011 Corporate program. Many people believe that Susi is really busy, where in truth, she is not. Her secret is the doing what she does best, and delegating the rest. She knows that only she can do what she does, and everyone else is better at everything else. She hopes her teachings inspire you to do what you do best. Clare Collins completed yoga teacher training at the Esther Myer\'s Studio in Toronto, Teacher Training Program at the American Viniyoga Institute and the AVI Yoga Therapist Program in 2005. She is currently a Yoga Therapist in private practice and is registered with the Yoga Alliance at the ERYT-500 level. Clare is a registered nurse with a specialization in mental health, Professor Emeritus of Nursing at Michigan State University and member of the American Academy of Nursing. She completed a five year post doctoral fellowship at the National Institute of Mental Health in geriatric mental health research and has been a principal investigator and co-principal investigator on NIH research grants. She is a curriculum consultant at the American Viniyoga Institute and an educator of yoga teachers and yoga therapists at national training programs. Dr. Criswell is President of IAYT. She taught the Psychology of Yoga course for 37 years at Sonoma State University. 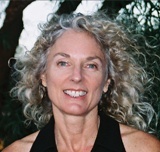 She is the co-founder and director of the Novato Institute for Somatic Research and Training, and editor of Somatics, a journal of the mind - body arts and sciences. Her books include How Yoga Works:An Introduction to Somatic Yoga and Biofeedback and Somatics:Toward Personal Evolution. Eleanor is the author of numerous articles on Yoga and the creator of Somatic Yoga. 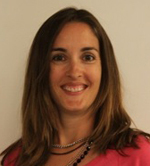 Karen is an epidemiologist and Senior Scientific Investigator at the Group Health Research Institute with an Affiliate appointment at the University of Washington. For the last 15 years, she has focused on research in complementary and alternative medicine (CAM). Her work has focused on the evaluation of various CAM treatments, including acupuncture, massage, and Yoga for musculoskeletal pain. In December 2005, she published the results of her study of Viniyoga for chronic back pain in the Annals of Internal Medicine. She is currently analyzing data from larger study of Viniyoga for back pain aimed at better understanding the mechanisms by which it improves the course of back pain and is also involved in a study of Yoga for vasomotor symptoms in women undergoing menopause. She is a member of the Editorial Board of the International Journal of Yoga Therapy. Kim is an Associate Professor in the West Virginia University Department of Community Medicine and the University of Virginia Center for the Study of Complementary and Alternative Therapies. She is an epidemiologist and clinical research scientist with a particular interest in yoga and related mind-body therapies for the prevention and control of cardiovascular disease (CVD), diabetes, and other chronic disorders related to aging, stress, sympathetic activation, and metabolic dysregulation. Funded by grants from the NIH National Center for Complementary and Alternative Medicine and the Office of Women\’s Health, Dr. Innes\’ research includes clinical trials to assess the effects of yoga on CVD risk profiles in sedentary, post-menopausal women and older adults with type 2 diabetes, on sleep, mood, and related outcomes in older women with restless legs syndrome, and on physical function in healthy elders and adults with Parkinson\’s Disease. She is also spearheading additional research initiatives to investigate the potential benefits of yoga-based interventions for adults with cognitive impairment (and their caregivers), osteoarthritis, and other, related conditions. She has authored numerous scientific publications, including a number of recent reviews and research articles regarding the effects of yoga on chronic disease risk. Her research has been featured in the Yoga Journal, Women\’s Health, Reuters Press, Vim and Vigor Magazine, Health Insights Today, Pause, Prevention Magazine Natural Health Magazine, and many others. Dean Ornish, MD, is the founder of the nonprofit Preventive Medicine Research Institute in Sausalito, California and Clinical Professor of Medicine at the University of California, San Francisco. He has published 30 research papers relevant to yoga lifestyle interventions in The Journal of the American Medical Association, Lancet, Proceedings of the National Academy of Sciences, Circulation and, The New England Journal of Medicine. His landmark JAMA publication was the first to demonstrate the behavioral reversal of coronary heart disease. 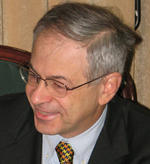 He served on the White House Commission on Complementary and Alternative Medicine Policy. His recent research is evaluating the benefits of lifestyle intervention in prostate cancer. Dr. Robin Monro is Founder and Director of the Yoga Biomedical Trust and the Yoga Therapy Center in London. He started his career as a research biochemist, then shifted to the philosophical aspects of science and eventually to yoga therapy. He has been practicing yoga for 40 years and is currently involved with yoga therapy research, clinical work and training yoga therapists. He is co-author of Yoga for Common Ailments (GAIA books) and several articles on yoga and science. 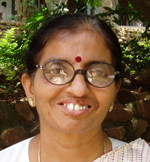 Shirley Telles, MBBS Ph.D., is the Director of Research at Patanjali Yogpeeth, Haridwar, India. She is also the Head, Indian Council of Medical Research for Advanced Research in Yoga and Neurophysiology, a federal research center of excellence. Dr. Telles is undeniably the most prominent researcher in yoga, coauthoring over 85 papers in peer-reviewed journals, and is first author on almost half of these. She has been the recipient of an award from the John Templeton Foundation, and a Fulbright Fellowship for research at the University of Florida, Gainesville. Bessel van der Kolk MD, is a Professor of Psychiatry at Boston University School of Medicine and Medical Director of the Trauma Center in Boston. He is an international leader and pioneer on the neurophysiology and clinical treatment of post-traumatic stress disorder. He has coauthored over 50 publications in peer-reviewed journals on trauma and other psychiatric conditions. He recently published a study in 2006 on the efficacy of yoga in treating post-traumatic stress disorder in women in the Annals of the New York Academy of Medicine and this work continues through his current NCCAM R21 grant entitled Efficacy of Yoga for Treatment-Resistant PTSD. Dr. van der Kolk leads clinical workshops on the use of yoga for PTSD. Lorenzo Cohen, PhD, is Professor and Director of the Integrative Medicine Program at the M. D. Anderson Cancer Center in Houston, Texas and Distinguished Clinical Professor, Fudan University Cancer Hospital, Shanghai, China. Dr. Cohen is a founding member and on the executive committee of the international Society for Integrative Oncology (SIO). Dr. Cohen is currently conducting clinical trials examining the biobehavioral effects of psychosocial interventions aimed at reducing the negative aspects of cancer treatment and improving quality of life (e.g., meditation, stress management, emotional writing, Hatha yoga, Tibetan yoga, Tai chi/Qigong, music therapy). He is interested in examining different types of complementary programs that can be easily incorporated into conventional treatment to decrease the psychophysiological sequelae associated with treatment. His research simultaneously assesses psychological, behavioral and physiological factors in an attempt to better understand the cancer process. Virginia Carrieri-Kohlman is a Professor in the UCSF Dept. of Physiological Nursing. Her research focuses on dyspnea (difficulty in breathing) across different illnesses. She studies correlates of dyspnea, treatments to affect dyspnea in acute and chronic settings, and exercise as a treatment for dyspnea. She also studies symptom management of dyspnea in terminal lung-disease patients. Dr. Danhauer is an Associate Professor in the Department of Social Science & Health Policy in the Division of Public Health Sciences, and holds a joint appointment in the Department of Internal Medicine, Section on Hematology and Oncology in the Wake Forest University School of Medicine. She is a clinical health psychologist whose work has investigated potential benefits of integrative medicine modalities (with an emphasis on symptom management) for cancer patients and post-treatment survivors. She has published two pilot studies of yoga for women with cancer. In 2008, she received a Research Scholar Award (a mentored research award) through the Translational Science Institute in the Wake Forest University School of Medicine for her project entitled “Yoga during Breast Cancer Treatment: Establishing Community-Based Partnerships” in which she is currently implementing a gentle yoga intervention for women with breast cancer in community cancer centers through the Research Base of the Comprehensive Cancer Center of Wake Forest University. In addition to her experience conducting studies of yoga for women with cancer, Dr. Danhauer is a co-investigator on a current study funded by NCCAM examining Integral Yoga for hot flashes in peri- and post-menopausal women. 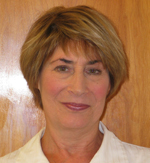 Dr. Galantino is a Professor at the Richard Stockton College of New Jersey and Adjunct Scholar at the University of Pennsylvania where she conducts research on integrative medicine and chronic diseases. She received her bachelor of science degree in Physical Therapy from the University of Pittsburgh, a master’s of science degree in Physical Therapy from Texas Women’s University and her doctorate from Temple University. From 2002-2004 she was an NIH-NCCAM post-doctoral fellow in the school of medicine at the University of Pennsylvania and completed another master’s degree in clinical epidemiology and biostatistics. Dr. Galantino has enjoyed a 30 year clinical, research and training career working with patients diagnosed with chronic diseases. She has extensive experience with the HIV population and has been an advocate locally and nationally for rehabilitation services since the early 1980’ through her training at MD Anderson in Houston TX where she received her oncology rehabilitation training. She has received HRSA government grants to service HIV indigent patients in Houston, TX and Camden, NJ and established community based rehabilitation interventions for people living with HIV. She serves as the Oncology Section’s Research Chair and has published extensively on cancer and HIV. Her publications include two texts entitled: AIDS and Alternative Medicine: Current State of the Science by Churchill Livingstone (2002) and Clinical Assessment and Treatment of HIV Disease: Rehabilitation of a Chronic Illness by SLACK, Inc (1992). She has served as editor for Orthopaedic Physical Therapy Clinics of North America and published: Complementary Medicine in Orthopaedic Physical Therapy in 2000. Since that time, she has authored research articles addressing the benefit of meditation for health care professionals and the use of yoga for chronic low back pain, menopause and breast cancer. She is involved in NIH-funded research investigating the use of acupuncture for osteoarthritis and yoga for mild hypertension. She is the recipient of the New Jersey Cancer Consortium for Research where she is investigating the use of yoga during cancer treatment and the impact of cognition and quality of life. Dr. Galantino enjoys teaching others and is committed to the integration of evidence based complementary medicine throughout rehabilitation practice. Dr. Saper is the Director of Integrative Medicine for the BMC Department of Family Medicine and an Assistant Professor in the schools of medicine and public health at Boston University. He has 25 years of experience in integrative medicine: the responsible integration of complementary therapies such as yoga, massage and acupuncture with conventional medicine. Dr. Saper attended Brandeis University for his undergraduate education. As a Harvard medical student, he traveled to the Findhorn Center in Scotland to study holistic healing and took a year off to live and study yoga at the Kripalu Center in Western Massachusetts. After graduating Harvard Medical School in 1988, he completed a family medicine residency and chief residency at UCSF from 1988-92 and was in private practice for 8 years in the San Francisco Bay area. From 2001 to 2004, he completed a three year Complementary Medicine Research Fellowship at Harvard which included an MPH from the Harvard School of Public Health. He received a five year Academic Career Development Grant in 2005 from the NIH National Center for Complementary Alternative Medicine. Dr. Saper has numerous publications in prestigious journals including JAMA, the Journal of the American Medical Association. He had given over 100 lectures about integrative medicine both nationally and internationally. Since joining BMC in 2004, Dr. Saper has taken a leadership role in building research, educational, and clinical programs in integrative medicine at BMC. His major interest is bringing safe and effective integrative therapies to the low income minority populations. Dr. Chris Streeter, M.D. is an Associate Professor of Psychiatry and Neurology at Boston University School of Medicine (BUSM). She is the Director of Functional Neuroimaging for the Department of Psychiatry at BUSM, a lecturer at Harvard University School of Medicine and a Research Associate at McLean Hospital. Dr. Streeter is board certified in Neurology, Psychiatry and Neuropsychiatry/Behavioral Neurology, with an additional qualification in Forensic Psychiatry. She has been an NIH funded researcher for over 20 years and has multiple peer-reviewed publications. Her research interests include the use of magnetic resonance spectroscopy to measure brain gamma amino-butyric acid (GABA). GABA is the primary inhibitory neurotransmitter in humans. Dr. Streeter’s recent studies have focused on the positive correlations between yoga practices, improved mood and increased brain GABA levels. Low GABA levels are found in depression and improve with pharmacologic treatment. Dr. Streeter is developing several projects that will look at the effect of yoga on brain GABA levels in populations with depression and PTSD. Evidence-Based Complementary and Alternative Medicine. Jim Carson, PhD, is a clinical health psychologist and Assistant Professor in the Department of Anesthesiology and Peri-operative Medicine at Oregon Health & Science University in Portland, Oregon. He has worked extensively to help individuals with persistent pain to lead more fulfilling lives, including patients with fibromyalgia, cancer, chronic back pain, rheumatoid arthritis, and sickle cell disease. He obtained his doctoral degree in 2002 from the University of North Carolina at Chapel Hill. Prior to becoming a psychologist Dr. Carson was a monk (swami) in the yoga tradition and taught meditation world-wide for many years. He has conducted innovative research on the application of minfulness meditation and yoga-based interventions as adjunctive treatments for various conditions. Stephen Cope is a well-known figure in the world of American Yoga. He is currently the Director of the Kripalu Institute for Extraordinary Living--which supports the largest team of yoga researchers in America. For many years he has been the Senior Scholar-in-Residence at Kripalu Center for Yoga and Health, where he has written and taught about the relationship between Western psychological thinking and the Eastern contemplative traditions. His books include: Yoga and the Quest for the True Self (Bantam, 2000), Will Yoga and Meditation Really Change My Life (Storey, 2003) and The Wisdom of Yoga (Bantam, 2006) and the forthcoming When Work is Play for Mortal Stakes: Lessons from the Bhagavad Gita (Bantam, 2011). Dr B. N. Gangadhar is Professor of Psychiatry at the National Institute of Mental Health and NeuroSciences (NIMHANS). He has served with NIMHANS since 1981, after completing his MD. He has interests in Somatic therapies, Yoga, schizophrenia and community mental health. He heads the Advanced Center for Yoga at HIMHANS. He has published over 200 scientific articles in national and international, peer-reviewed journals. He is coeditor on the Acta Psychiatrica Scandinavica as well as the Asian Journal of Psychiatry. He is also a Fellow of National Academy of Medical Sciences India. He has received the CV Raman award as well as the BC Roy award from the government of Karnataka. Lonnie Zeltzer, MD, Professor of Pediatrics, Anesthesiology, Psychiatry and Biobehavioral Sciences at the David Geffen School of Medicine at UCLA, is Director of the UCLA Pediatric Pain Program. Her program\'s research is on pediatric chronic pain and complementary and alternative therapies. Among her awards are a WT Grant Faculty Scholar\'s Award, an NCI Research Career Development Award, 2003 UCLA Helene Brown Award for Excellence in Cancer Control Research, 2005 Mayday Pain and Policy Fellowship, and 2005 American Pain Society\'s Jeffrey Lawson Award for Advocacy in Children\'s Pain Relief. She is President of the Special Interest Group on Pain in Childhood of the International Association for the Study of Pain, and her Program received the 2009 American Pain Society\'s Clinical Center of Excellence in Pain Management Award. She has over 300 publications, including a book for parents on integrative treatment of pediatric chronic pain. Susan Gould-Fogerite, PhD, is Director of Research, at the Institute for Complementary and Alternative Medicine, and Associate Professor, Primary Care, School of Health Related Professions, University of Medicine and Dentistry of New Jersey. As a researcher and teacher, her primary interest is in the mechanisms of action of mind//body therapies, developing optimal practices for reducing pain and inflammation, and supporting health at the mental, physical and spiritual levels. She is a long-time yoga and meditation practitioner, a student of Swami Veda Bharati, and a certified teacher in the Himalayan Tradition of Yoga Meditation. Sara W. Lazar, PhD is an Associate Research Scientist in the Psychiatry Department at Massachusetts General Hospital and an Instructor in Psychology at Harvard Medical School. She is a Board member of the Institute for Meditation and Psychotherapy and has been practicing yoga and mindfulness meditation since 1994. The focus of her research is to elucidate the neural mechanisms underlying the beneficial effects of yoga and meditation, both in clinical settings and in healthy individuals. One main focus of her work is determining how yoga and meditation influence brain structure, and how these changes influence behavior. Lisa Conboy, MA, MS, ScD is an Instructor at Harvard Medical School\'s Osher Research Center and Co-Director of Research and Dean of Biomedicine, The New England School of Acupuncture. She is a social epidemiologist and a sociologist with an interest in the associations between social factors and health. She is published in the areas of Women\'s Health, Mind-Body Medicine, and qualitative research methodology. Dr. Conboy is co-investigator on three NIH funded grants at the Osher Research center. She is also the research director and part-time faculty at the New England School of Acupuncture where she teaches research methodology. She is also a founding member the Kripalu research collaborative which examines the mental, physical, and spiritual benefits of yoga, meditation, Ayurveda and other holistic and mind-body therapies. Partap Khalsa is a Program Director at the National Center for Complementary and Alternative Medicine (NCCAM) overseeing a portfolio of grants on CAM treatments, serving on trans-NIH committees related to pain and CAM, and is the NCCAM representative to the American Pain Society\’s CAM Taskforce. He is a board-certified chiropractor, has MS and PhD degrees in Biomedical Engineering/Sciences, and held a tenured, Associate Professor position at SUNY – Stony Brook. He has published numerous primary research articles on spine biomechanics, the neurophysiology of pain, and clinical trials of CAM interventions for musculoskeletal disorders. 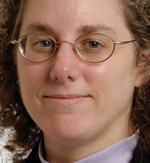 Debbie L. Cohen, MD is an Assistant Professor of Medicine at The University of Pennsylvania. She is a nephrologist and is the director of the Clinical Hypertension Program at Penn. She has an interest in complex hypertension and adrenal hypertension and is the Director of the Neuroendocrine Tumor Program recently opened at Penn with a focus on the treatment and management of pheochromocytomas. She also has a research interest in alternative methods of treating hypertension and has a NIH grant studying the effects of yoga on hypertension. As a Senior Program Manager at Samueli Institute, Mr. Fritts leads research on spirituality and mind-body practices for disease prevention, treatment, wellness and resilience, primarily for our military and veterans. He works to address health disparities in underserved communities, and to move research results into public and clinical use through translational efforts and health policy initiatives. Mr. Fritts left medical school to pursue a CAM research career and worked for several years at NIH in behavioral research and as a Presidential Management Fellow. He has been an avid student, practitioner and instructor of yoga and Buddhist meditation for 15 years. 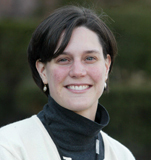 Lisa is Assistant Professor (Research) of Psychiatry and Human Behavior and Family Medicine at Brown Medical school. She is a licensed clinical psychologist. Her research interests center around developing and testing innovative psychosocial methods for treating depression, including collaborative treatment for depression and comorbid health conditions in primary care, and the use of yoga and health education as adjunctive treatments for depression, including prenatal depression. Dr Raghuram Nagarathna is the Dean of the Division of Yoga and Life Sciences, Swami Vivekananda Yoga Anusandhana Samsthana (S-VYASA) University, Bengaluru and the Chief Medical Officer of the Yoga Based Holistic Health Home (Arogyadhama) of Vivekananda Yoga Anusandhana Samsthana (VYASA), Bengaluru. Naveen Kalkuni Visweswaraiah a Fulbright Scholar, is a trained physician in Yoga and Naturopathy [Mangalore |University, 1994] and received his doctorate in Psychophysiology of Meditation [Bangalore University, 1994]. 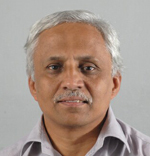 He is currently the Associate Professor, at SVYASA Yoga University, Bengaluru and Co-Head of ICMR Center for Advanced Research on Yoga and Neurophysiology. 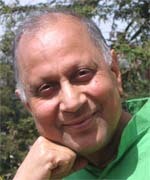 Dr. Visweswaraiah has 30 research publications in yoga and allied sciences and 4 chapters in books. He is also co-founder of The Foundation for Assessment and Integration of Traditional Health Systems [FAITHS], an international, not-for-profit organization based in Bengaluru, India aimed at evolving and practicing evidence based traditional medicine. 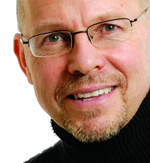 Dr. Culos-Reed is an Alberta Heritage Foundation for Medical Research (AHFMR) Population Health Investigator. Her work is on Physical Activity for Cancer Survivors, and focuses on utilizing a multidisciplinary perspective to understand and improve the quality of life of cancer patients and survivors. Specifically, the goal of this research is to develop physical activity programs that positively impact the myriad of physical and psychological factors that cancer survivors experience, ultimately enhancing their quality of life. Arlene is a research scientist at the Roudebush Veterans Administration Hospital and an Assistant Professor in the Indiana University Department of Occupational Therapy in Indianapolis, IN. She is a rehabilitation scientist specializing in balance and falls efficacy programming for older adults, people with stroke, and other neurological conditions. 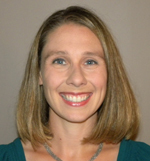 She is funded through the VA to examine the effects of yoga in people with chronic stroke. She runs the Indiana University, School of Occupational Therapy, Rehabilitation and Integrative Therapy Lab and is a member of the Editorial Board of the new Journal Yoga and Physical Therapy. NCCAM\’s current Strategic Plan describes a number of scientific areas of research priority and focus, including those related to Yoga Therapy (which is categorized within Mind and Body Interventions). These will be presented along with relevant funding opportunity announcements that can be used to develop and submit research grant applications to NCCAM, and general & specific Yoga Therapy grantsmanship issues. This presentation will focus on two areas: 1. Trends in published Yoga intervention research from 2000-2010, with an emphasis on the condition/ population studied, how the Yoga intervention was designed (including the use of Yogic principles), type of Yoga intervention and the relationship between the Yoga intervention and dependent variables; 2. Implications for the design of targeted interventions for use in Yoga research. Clare Collins, RN, Ph.D., F.A.A.N. The major categories of quantitative outcome measures that have been used in yoga research for measuring status and change at the physical, mental and spiritual levels will be presented. Examples of validated tools in psychology, spirituality, quality of life, and physical function, as well as physiological, biochemical, and cellular assays, and their application to yoga research will be discussed. Dr. Khalsa will present an overview of basic information on the institutional review board (IRB) requirements for human subjects research with yoga interventions in a variety of research designs. IRB issues specific to yoga interventions and outcome measures including informed consent, privacy, data safety monitoring and adverse events will be discussed. Dr. Conboy will give an overview of the most commonly used types of research designs in yoga research, including the strengths and limitations of each. Specific challenges to conducting Yoga research will be highlighted, including 1) sample selection, "What type of change are we looking for?" 2) designing appropriate control conditions, "What is the active ingredient we are studying?". Lisa Conboy, MA, MS, DSc. Dr. Saper will overview the types of research design from case reports to randomized clinical trials, the value and selection of control groups and conditions, and the development and implementation of reproducible yoga therapy protocols relevant for research studies. Dr. Cohen will discuss the basics of research evaluation, from proper documentation of individual clinical encounters to individual and group application of quantitative and qualitative outcome measures including questionnaires, interview methods, biochemical assays and physiological assessments. 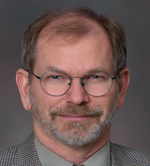 Dr. Innes will review the access and interpretation of previously published yoga research literature, including how to find research publications and how to read, interpret and critically evaluate published research studies and research reviews. Dr. Khalsa will present information on the basic administrative requirements for research projects including a review of sources of funding, how to put together a research team with the necessary expertise, skills and resources and issues in human research ethics and protections. Bessel van der Kolk, MD will present. Lorenzo Cohen, PhD will present. Virginia Carrieri-Kohlman, RN, DNSc will present. Kyeongra Yang, PhD, MPH, RN will present. 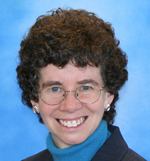 Suzanne Danhauer, PhD will present. Dean Ornish, MD will present. This historic meeting is just the second comprehensive and widely publicized academic research meeting in the West devoted to Yoga therapy research. SYR is a single track academic research meeting that will include keynote speakers, Luciano Bernardi, BN Gangadhar and Lonnie Zeltzer, invited oral presentations from other senior researchers, multiple poster sessions and ample opportunities to interact with other scientists, experts and professionals in the field. The Kripalu Center for Yoga & Health is a non-profit educational organization dedicated to promoting the art and science of Yoga to produce thriving and health in individuals and society. For more than 30 years, Kripalu Center has been teaching skills for optimal living through experiential education for the whole person: body, mind, and spirit. While you are at Kripalu, you'll enjoy daily Yoga classes, natural-foods cusine, massage and healing arts, hiking trails, whirlpool and sauna, interesting people, and extraordinary views-all in the natural beauty of the Bershires of western Massachusetts..